My name is Marc Parrish; I’m a 1992 graduate of Austin College, a small D3 school in Sherman, TX. I’m on the AC Athletics “A” Board, and for fun write old AC sports stories (“Roo Tales”). Austin College was established in 1849 and has a lot of history. I administer a “Go Roos” Facebook group and blog. I stumbled upon a post of yours about Rice, 1912 football, and West End Park. You found two game photos in a scrapbook, and wondered aloud what game that was in 1912. I suspect it was Austin College. Rice played 5 games that first year in 1912. Three of them (Orange High, Huntsville Normal, Southwestern University) were on the road. Two were at home at West End Park. Austin College and Houston High. While I can’t (yet) conclusively prove it is Austin College, there are a few factors that make me suspect it is. The AC game was on Thanksgiving Day, and was a big deal. It was Rice’s first game against a collegiate opponent at home. More importantly, the dark tops and light bottoms look very much like AC’s uniforms that year. I’ve attached a photo of 1912 star running back Cecil Grigg from a December 1912 edition of the Houston Post. His uniform looks similar to those in the photo. AC won that game 81-0, and it remains Rice’s most lopsided loss. I remind my Longhorn brother of this from time to time. 😊 Griggs scored two TDs in the game. It’s difficult to prove 100%, but that photo may just be the Rice-AC 1912 Thanksgiving game at West Park, and Grigg………….a Rice legend………..might just be in one of those photos dressed in a dark top and light bottom playing against Rice. One final note. My father got a Ph.D. from Rice in 1971. I was born in 1970, and the family lived on Bolsover just north of the stadium. My parents eventually became faculty at Texas A&M. We NEVER missed the A&M-Rice game at Kyle Field, primarily to watch the MOB. Thanks for the Rice History Corner blog! One of my stories to come will be a Rice “Roo Tale”. 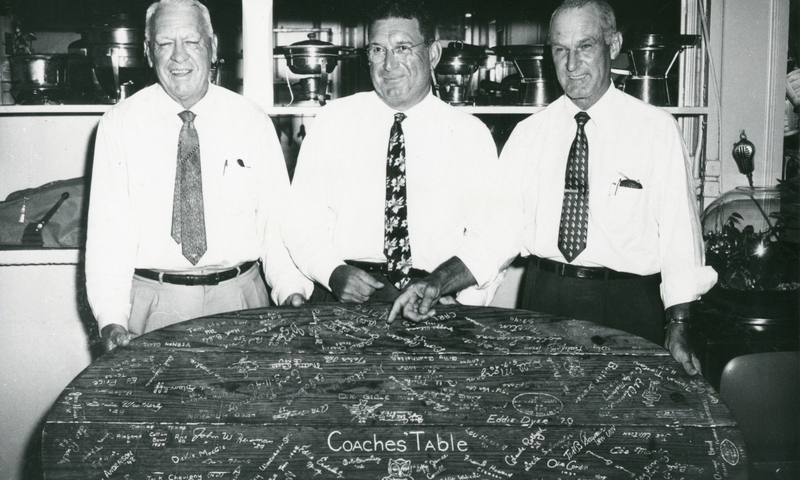 There are a number of great historical connections between AC & Rice athletics. It will be fun to write. I’ll send a link when I eventually do. I’m very grateful to Mr. Parrish for his interest and for the time he took to think this all through and write me. I’m also enjoying his blog and looking forward to some collaborations. Many thanks! 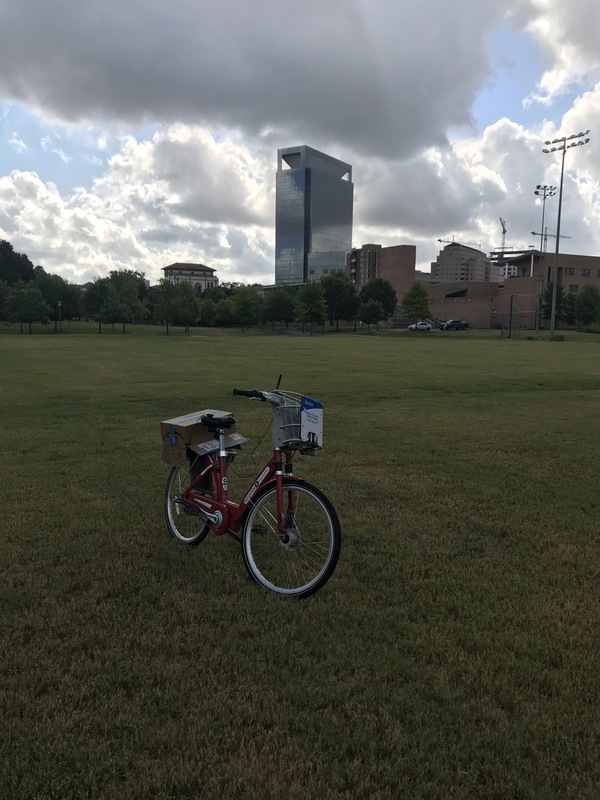 Bonus: It looked like an abandoned bike in the middle of a field. But it belonged to some EEs who claimed they were working. And maybe they were. His name was Grigg, no s at the end. You are correct, sir! I should have edited that. I’ll go do it now. Georgia Tech’s beating of Cumberland gets all the press from 1916, but the Owls handed it to a much better than Cumberland SMU team.” I found this ranked as no. 15 in the 50 biggest blow-outs in college football history. The 1912 loss to Austin College was not ranked.